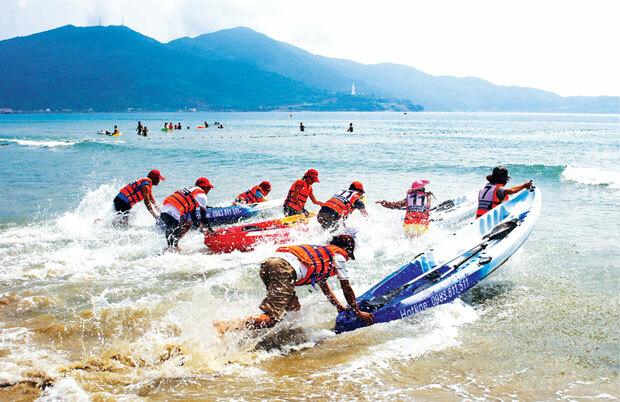 DA NANG (VNS) — Over 40 amateur kayakers will race in the second Kayak Race at East Sea Park on April 26th in celebration of the country's Reunification Day (April 30th) and to kick off the summer holidays. Teams will compete in a qualifying round over a one-mile course from My Khe Beach to the sea and back. Top nine teams will advance to the final. Kayaking was introduced as tourism attraction in the city last year, with training courses held every week for 500 members.